I’ve been thinking about trying to do a map series for a while, but hadn’t quite settled on a theme so the risk of never getting around to it I’ve decided to start today with no particular theme. 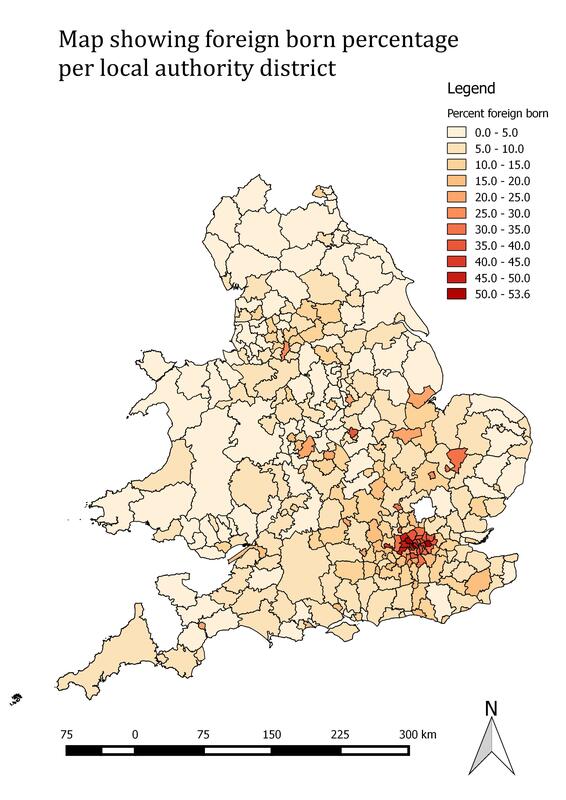 First up, a map showing percentage of foreign born populace per local authority in England and Wales. I was hoping to make it interactive but google maps limits are pretty small so need to do some reading on how I could go about this. Data sources are listed at the bottom of the post, hoping to make this a weekly contribution! Definitely need to think about design a bit more too, this is pretty shabby looking but don’t want to sink too much time into it. Made with QGIS.